Pushing stuffy keepsake gifts aside, we love that Baby Confetti is making stunning, playful keepsake gifts for children to play with – and coincidentally (or not) when not being played with, they look mighty fine displayed. 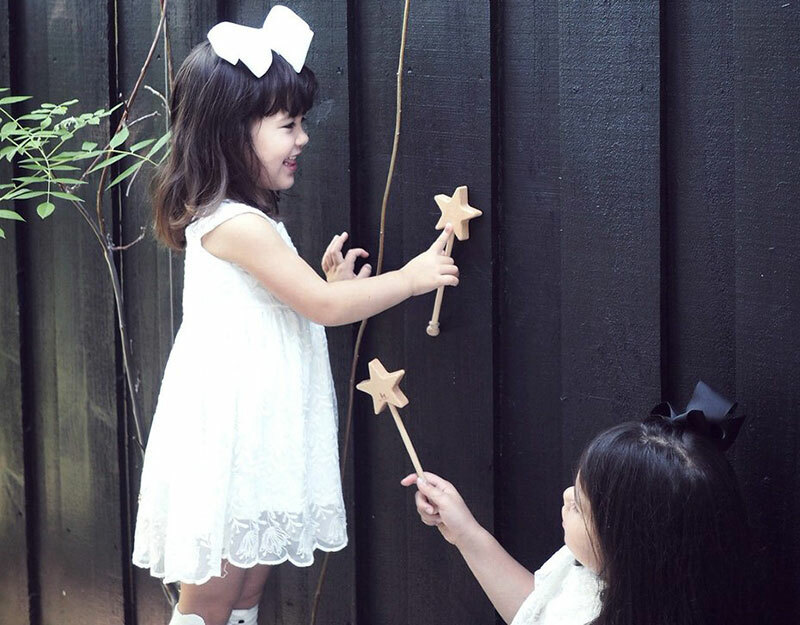 Designed and handmade in Western Australia, each star wand is made to heirloom quality using beech and cherrywood timbers. Finished with a proper sanding and coated in a blend of organic beeswax, olive oil and citrus oil – kids can play without fear of splinters! Heirloom Timber Star Wands are priced $23 each and come beautifully gift boxed. Purchase direct from Baby Confetti.